Mondays are so much better when you're heading into the week knowing that you only have 8 more days of work before vacation. I'll be spending a week at home in Iowa before Bryan and I leave for Europe on the 27th. We don't come back until January 8 and I can.not.wait. This year has been a bit trying for me in terms of work, so I'm excited for a long break and to come back in the New Year refreshed and re-enegergized. I had a lovely weekend if I do say so, myself. I struggled with deciding whether to go home to Iowa for the annual Ugly Sweater Christmas party that my BIL puts on to raise money for cancer, or to stay in Chicago with Bryan, who is leaving on the 14th and I won't see him until the 23rd of December. My husband won, but I still made a donation to the party. Everyone wins. 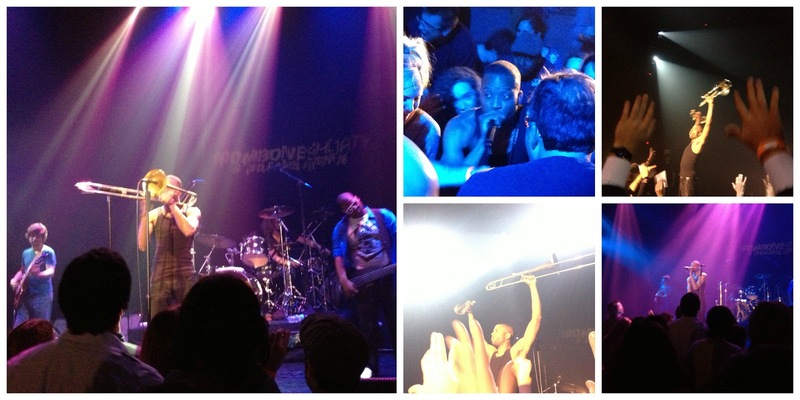 Thursday night, I went to see Trombone Shorty with my girlfriends. They discovered him at Jazz Fest last year and fell head over heels, so I decided to see what he was all about. I've gotta say, I didn't know what to expect and the concert was awesome! Shorty can blow, let me just say that. He can sing, too! It was a good time. 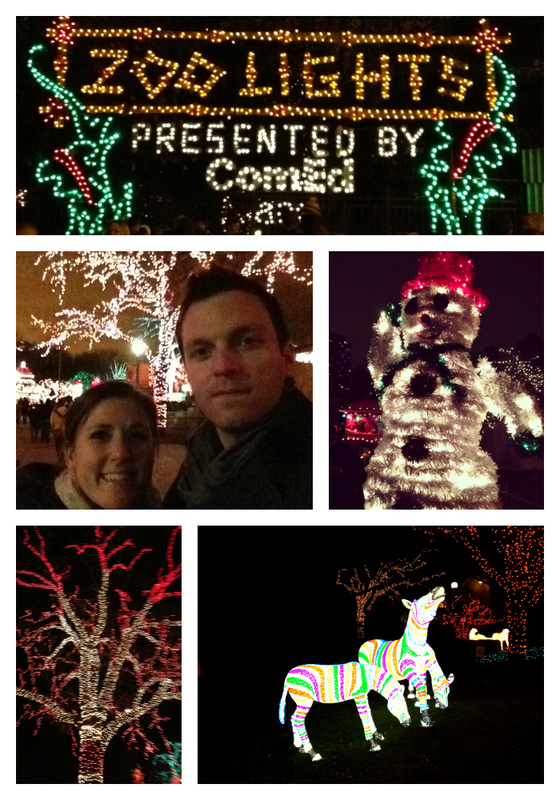 Friday night, we headed out to the Lincoln Park Zoo Lights, which is one of my favorite things ever. 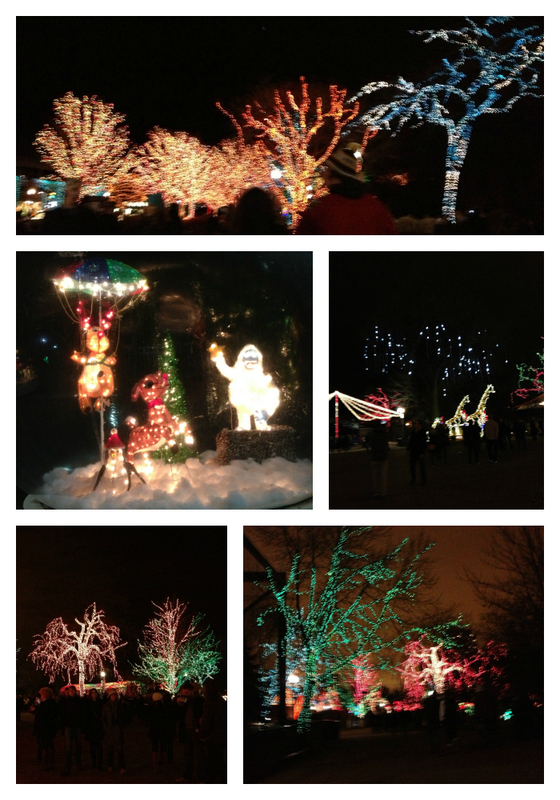 The zoo is completely decked out in Christmas Lights. On the trees, the pathways, random light statues everywhere. Music is playing, warm spiced wine is served. There are activities for little one, people making ice sculptures and, my favorite part: synchronized light shows to Christmas music! Then we went for dinner at a new place for us and it was super yum! Saturday, I took our pup to Petco to get some vaccinations. Poor girl was so nervous but she did great! We did a couple of errands before going home, where I did some things around the house and relaxed. 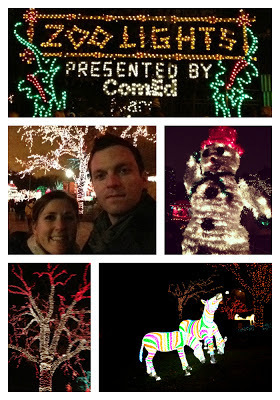 Bryan and I had date night #2, foregoing the Chriskindlmarket downtown and staying in our neighborhood instead. We tried a new italian restaurant that was delicious and then barhopped our way home. Sunday was a lazy day that involved a lot of sleeping, eating and Lifetime movies. Overall, a lot of qonderful QT spent with my love.